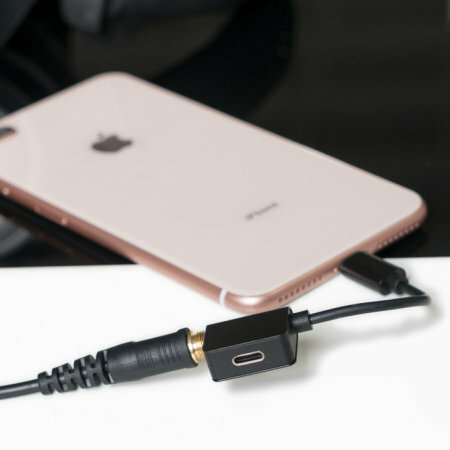 The 4Smarts SoundSplit cable makes it possible to listen to music using your 3.5mm jack headphones or earphones while charging your iPhone with its Lightning port simultaneously. Works much better than cheaper ones which I found only lasted a couple of weeks and had poor sound quality coming through. This is a sturdier product and has clear sound coming through most of the time (occasional crackling but sorted by moving the wire slightly). 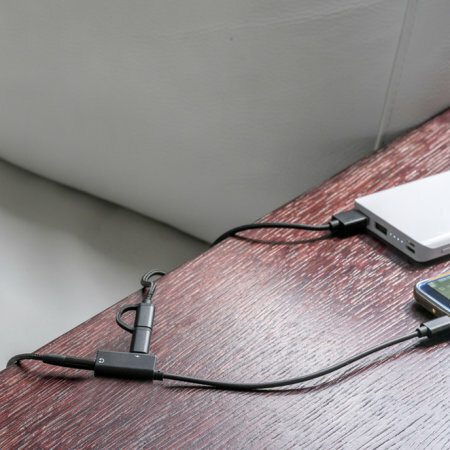 Works well for charging and music, but! 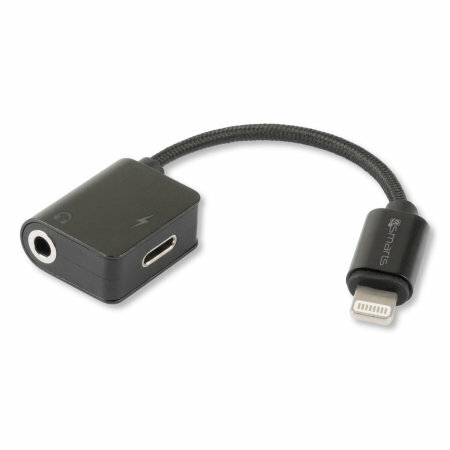 Can make and receive phone calls and listen to music through normal aux cable, but can’t charge at the same time! With the sound split cable I can charge while listening to music but can’t seem to receive calls???? The main down side to not having a headphone socket on the latest iPhone's is that you could charge or listen to music, not both. Well, now you can. 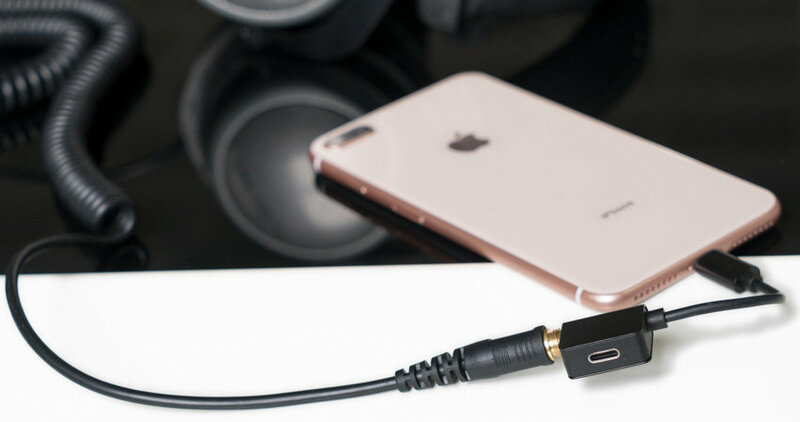 The 4Smart SoundSplit Lightning to Lightning and 3.5 Audio Aux Adapter Cable allows you to connect 3.5mm headphones and a Lightning cable at the same time, meaning you can listen to music via the 3.5mm audio socket, whilst letting your phone charge. 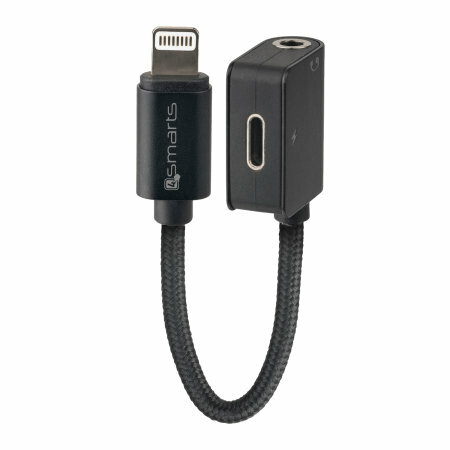 This 4Smarts Lightning to Lightning & 3.5mm audio adapter is really compact and lightweight - you will barely notice it being there! With a length of 12cm and little to no bulk, you can still take it with you to the gym or on the trip.